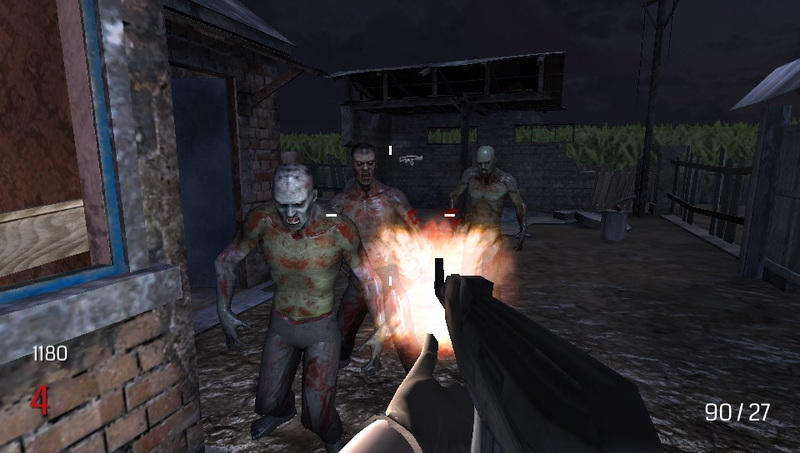 Zombiebound Reloaded is a 3D FPS zombie survival game for the PS Vita. It plays very similar to CoD Zombies games. It is developed in Unity with high quality assets carefully optimized for PS Vita. The game features three levels. The "Farmhouse", the "Abandoned Store" and the "Hospital". Current version of the game will also have 8 weapons in total. Like the first game your character will be able to hold up to two weapons. His main weapon is always a pistol with infinite ammo, while the secondary weapon can be purchased from the various points of each level (they will appear as a graffiti on walls). Also you can purchase new weapons and levels from the in-game Store using gold bars. You get rewarded a gold bar for every 10 zombie kills. Unlocked weapons will be available for the Lucky Crate. 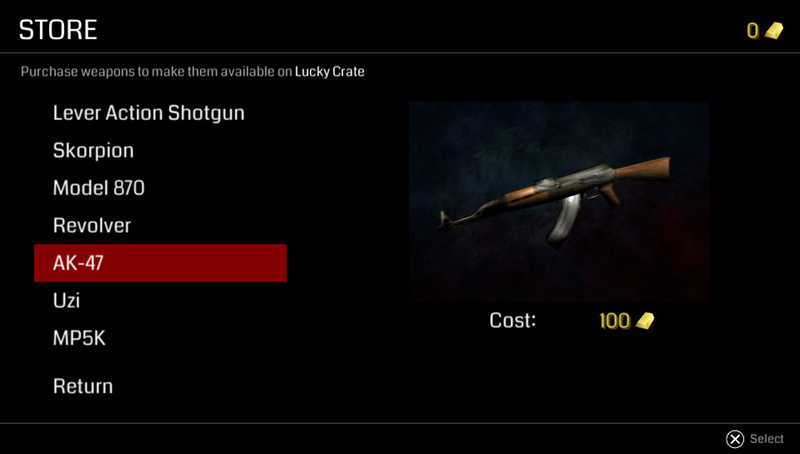 The Lucky Crate is also a brand new feature that gives you a random weapon from the available and costs 1000 points. You can find it by exploring each level. 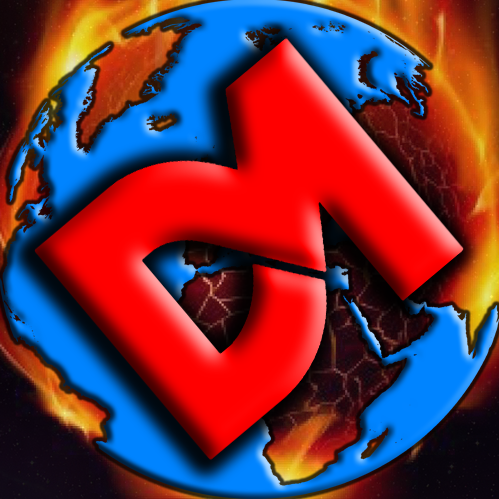 More updates will come latter with new content and improvements thanks to your feedback. For all your suggestions or ideas about the gameplay you can comment here or you can contact me with a pm on my Twitter page. Remember to leave your comment with your impressions/suggestions about the game. If you want to support my work you can become patron and you will also receive all my latest news and updates about Zombiebound Reloaded in time. Last edited by big_Sakis25 on Thu Feb 14, 2019 8:30 pm, edited 3 times in total. So... This looks pretty sweet. Iron sights need to be slightly adjusted, it would be cool if the Zomebies made a groan noise or footsteps or something. They can sneak up on you pretty easy. Fantastic though. Thanks for the suggestions. 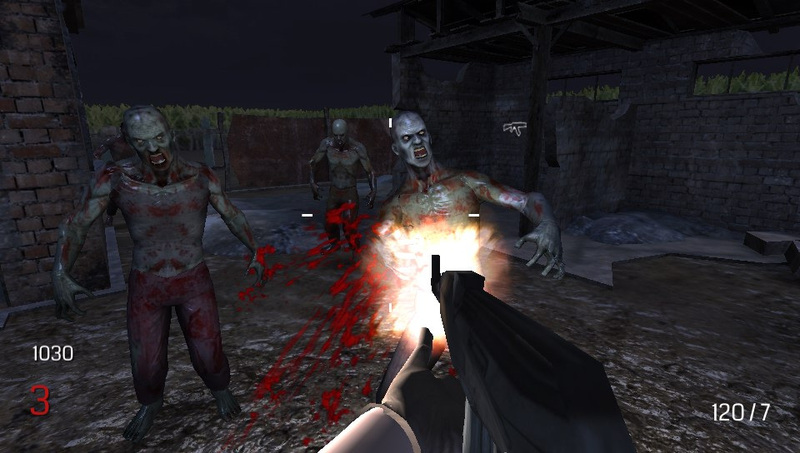 Zombie sounds will be added in the next version, plus gameplay improvements. Zombiebound Reloaded - The Big Update 0.2! The new big update is finally available! 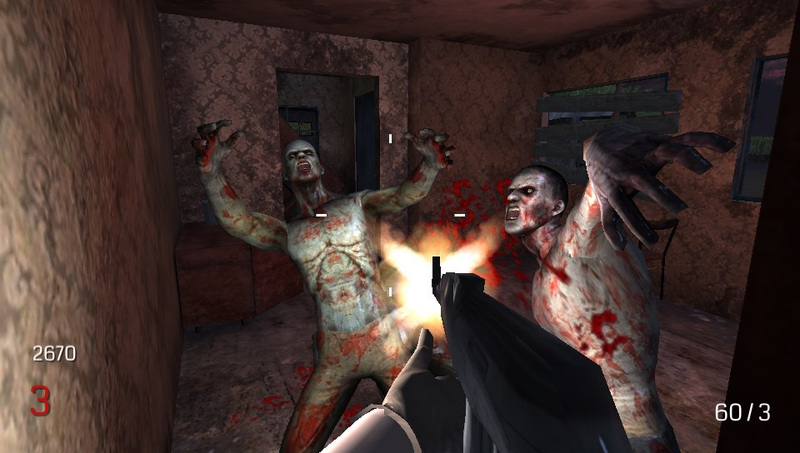 Zombiebound Reloaded updated to 0.2 with tons of new content and fixes. Frames drop a lot with the random box. I like what you're doing though. This Game really looks great. And This game also remind me Resident Evil 4 game. Is it possible to port Resident Evil 4 game with unity engine for Psvita? Thanks sir for every games.